This Streamline Deco pull looks as fresh and dynamic today as it did in the 1930s. 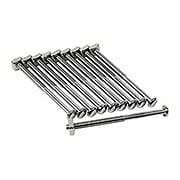 Large and easy to grasp, it gives your drawers a dash of early modern style. Recast in solid brass from a vintage original. This sleek, stepped Small Art-Deco Pull (3-Inch Center-to-Center) was a favorite choice for kitchen and bath cabinets throughout the 1930s. 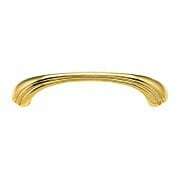 Its versatile, curved design mounts horizontally on drawers or vertically on cupboard doors. Recast from a vintage original in solid brass. This sleek, stepped Small Art-Deco Pull in Antique-By-Hand (3-Inch Center-to-Center) was a favorite choice for kitchen and bath cabinets throughout the 1930s. Its versatile, curved design mounts horizontally on drawers or vertically on cupboard doors. Recast from a vintage original in solid brass, it comes in our exclusive Antique by-Hand - a finish that ages gracefully over time into a beautiful natural patina. Includes three strike plate options. 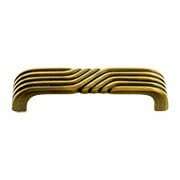 This sleek, banded pull was a favorite choice for kitchen and bath cabinets throughout the 1930s. 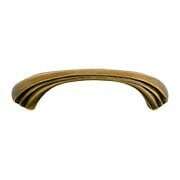 The versatile curved design mounts horizontally on drawers or vertically on cupboard doors. Recast from a vintage original in solid brass. This sleek, stepped Large Art-Deco Pull (4-Inch Center-to-Center) was a favorite choice for kitchen and bath cabinets throughout the 1930s. Its versatile, curved design mounts horizontally on drawers or vertically on cupboard doors. Recast from a vintage original in solid brass. This sleek, stepped Large Art-Deco Pull in Antique-By-Hand (4-Inch Center-to-Center) was a favorite choice for kitchen and bath cabinets throughout the 1930s. Its versatile, curved design mounts horizontally on drawers or vertically on cupboard doors. Recast from a vintage original in solid brass, it comes in our exclusive Antique by-Hand - a finish that ages gracefully over time into a beautiful natural patina. Includes three strike plate options. This sleek, stepped Extra Large Art-Deco Pull (4 1/2-Inch Center-to-Center) was a favorite choice for kitchen and bath cabinets throughout the 1930s. Its versatile, curved design mounts horizontally on drawers or vertically on cupboard doors. Recast from a vintage original in solid brass. This sleek, stepped Extra Large Art-Deco Pull in Antique-By-Hand (4 1/2-Inch Center-to-Center) was a favorite choice for kitchen and bath cabinets throughout the 1930s. 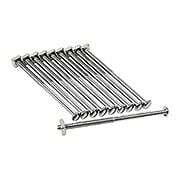 Its versatile, curved design mounts horizontally on drawers or vertically on cupboard doors. Recast from a vintage original in solid brass, it comes in our exclusive Antique by-Hand - a finish that ages gracefully over time into a beautiful natural patina. Includes three strike plate options. 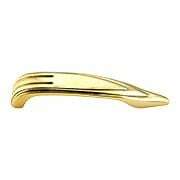 Bold and aerodynamic, this Streamline pull captures the essence of Art Deco design. 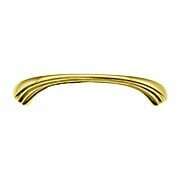 Mount it vertically on cabinets or horizontally on drawers - the asymmetric shape looks good either way! Recast in solid brass from a vintage original. 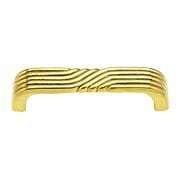 Bold and aerodynamic, this Streamline pull captures the essence of Art Deco design. 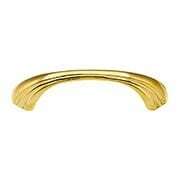 Mount it vertically on cabinets or horizontally on drawers - the asymmetric shape looks good either way! 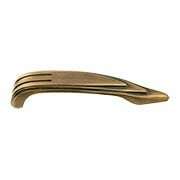 Recast in solid brass with our living antique finish. 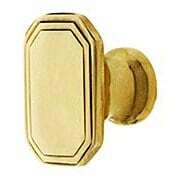 Octagonal Deco Cabinet Knob - 1 1/4" x 7/8"
This tailored Deco knob dates from the 1930s. Small, but distinctive, it's at home in traditional or modern settings. Made of solid, cast brass. 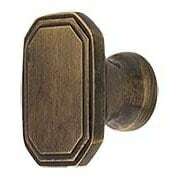 Octagonal Deco Cabinet Knob in Antique-By-Hand - 1 1/4" x 7/8"
This tailored Deco knob dates from the 1930s. 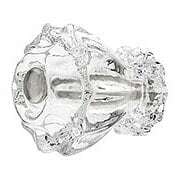 Small, but distinctive, it's at home in traditional or modern settings. 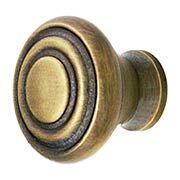 Made of solid, cast brass with our hand-applied antique finish. 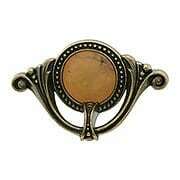 Give your cabinets a bold accent with this "bullseye" cabinet knob. The crisp Deco design dates from the 1930s, but goes with modern interiors of any age. 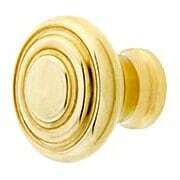 Solid cast brass in your choice of unlacquered or polished nickel finishes. 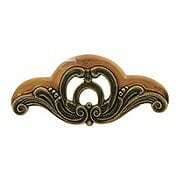 Give your cabinets a bold accent with this "bullseye" cabinet knob. The crisp Deco design dates from the 1930s, but goes with modern interiors of any age. Solid cast brass with our "living" antique finish. 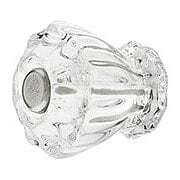 Make a bold, Art Deco statement in your kitchen or bath with our 1-Inch Diameter Small Fluted Glass Knob with Nickel Bolt. 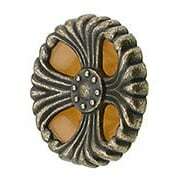 This colorful knob will add vintage flair to your built-ins or antique furniture alike. Choose from a wide array of authentic, period color options. 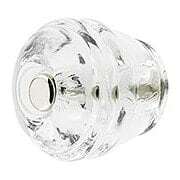 Make a bold, Art Deco statement in your kitchen or bath with our 1 1/2-Inch Diameter Large Fluted Glass Knob with Nickel Bolt. 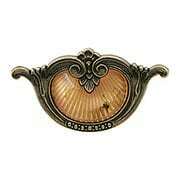 This colorful knob will add vintage flair to your built-ins or antique furniture alike. Choose from a wide array of authentic, period color options. 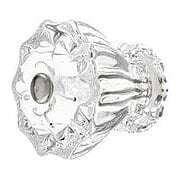 Our unusual Round Glass Cabinet Knob with Nickel Bolt features a beehive design that is pure Art Deco. Jazz up your period kitchen or bath with one of fourteen fun and traditional colors, or brighten your favorite piece of vintage furniture. 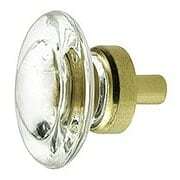 This medium size knob is perfectly sized for any application. The center protrudes on this low profile cabinet knob giving it added depth. Mid-century styling and a brass base in five traditional finishes. The 1 3/16" size works on most everything. 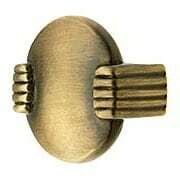 This medium Deco-style furniture knob has ten softly molded facets. 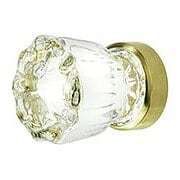 The wide brass base and brilliant clear glass will add a period look to cabinets or furniture throughout your house. 1 5/16" diameter. 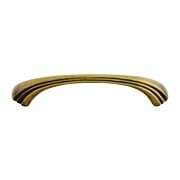 Widely popular in the 1930's Depression era, our Waterfall pull is retro design at its best. 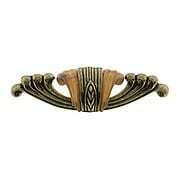 This faithful reproduction is cast in zinc for precision detail, finished in antique brass, and features a Bakelite insert, just like the orginals. Whether antique or contemporary, this treasure is an elegant embelishment to drawers and cabinets throughout your home.